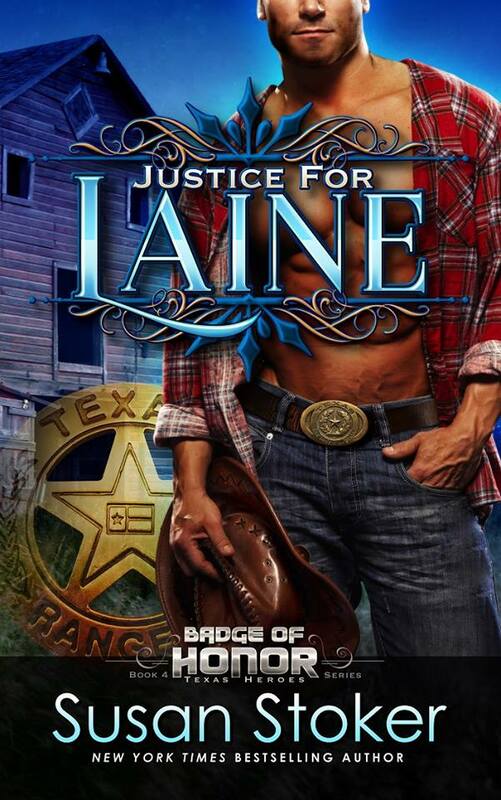 Review – Justice for Laine by Susan Stoker – 5 Stars!!! Laine and Wes felt an instant attraction; it was clear they were meant for each other. When Laine goes missing, can Wes find her in time or will their relationship end in tragedy? Another brilliantly, fantastic romance and suspense filled book from Susan Stoker. I loved every minute of this novella; no matter the length of a Susan Stoker book I always want more. I didn’t want to put this book down and I simply devoured it in one sitting. I really liked Laine; she had a wicked sense of humour and happily spoke her mind. Although nervous she still put her heart on the line and said how she felt. It was clear from the start how attracted she was to Wes and that the connection she felt was not only strong but instant. Wes stole my heart; he was an open man and quick to go for what he wanted. He wasn’t a man to deny his feelings or over question them. He ceased the moment and happily accepted what was in front him. Romantic, sweet, clever and protective, I loved Wes! Laine and Wes were perfect together; they each complimented the other and were honest with each other from the start. There were no silly games or unnecessary drama with these two. With every page turn I fell for this couple more and more and wanted them to be happy together. If you love romances with suspense filled storylines and a happy ever after, you will absolutely love Justice for Laine or any of Susan Stoker’s books.